Back in the day, I wrote my senior thesis on Philip Roth’s The Human Stain, which was about a black guy in the 1940s who passed as a white, Jewish guy. To be honest, that ish was so long ago, I don’t remember much beyond the thesis of my thesis. 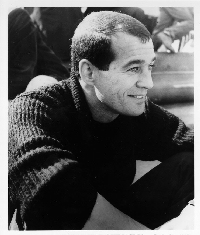 I do, however, remember this: one chapter was about the influence of the writer Anatole Broyard (pictured left) on the novel’s protagonist, Coleman Silk. There were several similarities, but the big ones were that both men were Creole (think Beyonce), academic, and “passed” as white, meaning they were black but pretended to be white. As part of my research, I corresponded with Broyard’s daughter, Bliss, about her Dad’s life. She gave me some tidbits, and was in the midst of working on a memoir about her Dad, who she had no idea was black until the end of his life (yes, that means, she had no idea SHE was black either). Ok so, fast forward 6 years, and some things happened. First, Philip Roth published An Open Letter to Wikipedia in the New Yorker. He was mad that Wikipedia wouldn’t change the statement that his novel was “allegedly inspired by the life of Anatole Broyard” despite his requests that they do so. Wikipedia, he claims, said that he, as the author, was not a credible source. Roth, who is notoriously press-shy btw, then published a letter trying to seize control over the interpretation of his novel. He said that Coleman Silk was NOT based on Broyard and, in addition to giving a bunch spoilers, he argued that he alone was enough to counter the assertion. Ok.
Somewhere between 2006 and now, I became Facebook friends Bliss Broyard after meeting her at a signing for her memoir, One Drop. I posted Roth’s article on her timeline (although it was almost more for her fans, since I assumed she had seen it). The other day, she wrote a Facebook post that began “someone posted on my timeline this Open Letter from Philip Roth…” Of course I was like, “oh s**t.” Then I read her post. On Facebook, she shared extensive thoughts on Roth’s letter, primarily arguing 1) that it’s actually not so crazy that people made comparisons between her Dad and the protagonist and 2) an author can’t dictate the conclusions other people draw about his characters. I agree with both arguments, and not because I’m personally invested in the outcome of this debate—I mean, let’s face it, no one is ever going to read my thesis again. But, in the words of a fellow aspiring author from my writers group, once a writer publishes, “the words are out of his hands.” If Roth had read Molly Ringwald’s New York Times blog post or at least MY blog post on her post, he would have known that. Everyone has different experiences and backgrounds that will lead to unique responses to fiction, art, etc. The character you created isn’t yours once someone else consumes it. Let him go Roth, let him go… I’d like to know what others think. Holllla.